"We have become accustomed to…treating our entrepreneurs and businesspeople [badly] and called them all sorts of names. 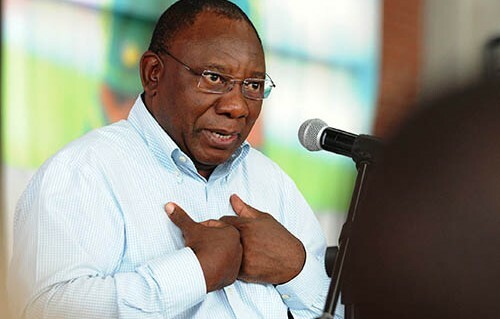 We’ve treated them like enemies and…white monopoly capital – that must end today," Ramaphosa says to huge applause. In September last year, Sunday Times reported that Bell Pottinger’s account team working for the Gupta-owned Oakbay was primarily responsible for devising the campaign.